The chapters on 'Anekant' and 'Sellakhana' are representative of the philosophy and religion of the Jains. 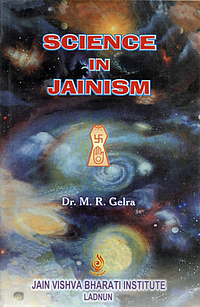 The chapters on the 'Eight point centre of Universe' and the "Universal space' are based on Jain Cosmology. The Jain Agamic literature is so vast and archaic that any final judgement on the concepts contained in it is difficult. The same is the case with modern science where new researches provide with new inferences. However, it is my sincere hope that this book will help the general reader to know about the relevance of science in Jainism. I acknowledge my gratitude to Acharyashri Mahapragyaji, the fountain of Jain scholarship at the present period who has been kind enough to write a few words of blessing. I pay my respects to Upadhyaya Shri Maniprabhsagarji who has done me a favour by writing the foreword of this book, I am extremely grateful to professor R.P. Bhatnagar who has checked the language edited of the text and I shall fail in my duty if I do not acknowledge my wife Mrs. Gulab Gelra for the constant inspiration. For inaccuracies or misinterpretation of any part of the text, the responsibility is fully mine. I am sincerely thankful to the Vice-chancellor, Jain Vishva Bharati Institute, Ladnun for publishing this book.